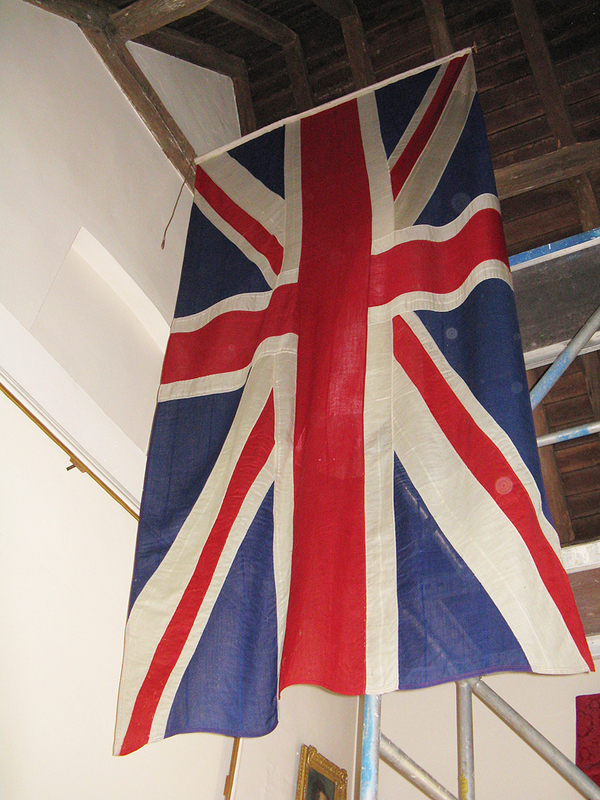 The manufacturer’s stamps on this flag indicate that this is a regular, if rather large, Union flag dated 1943. 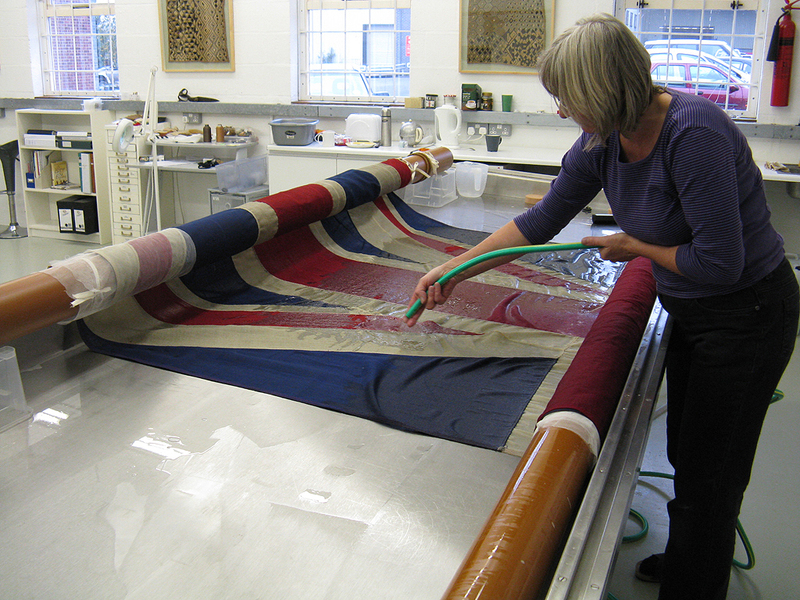 It measures approximately 370 x 180 cm and is made from wool with a linen rope-sleeve in a traditional construction. 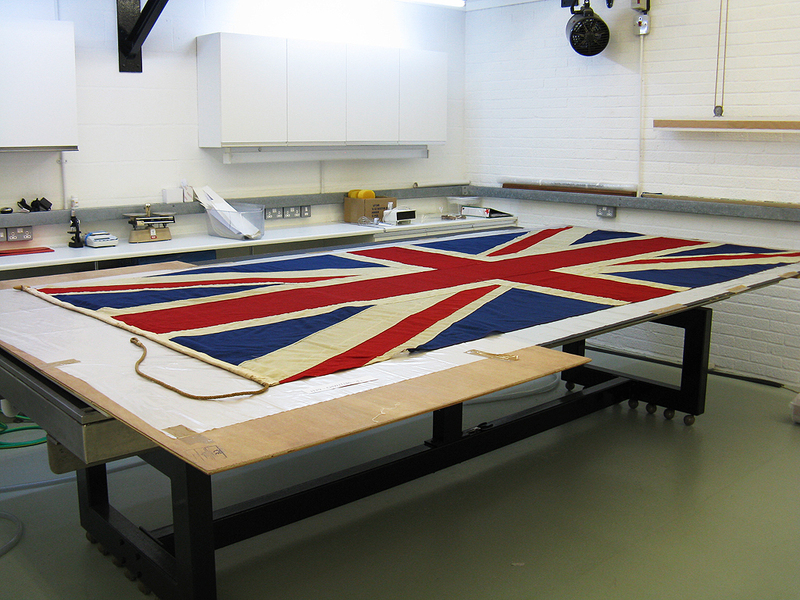 What makes this Union flag special is that it was the first British flag to be flown over Rome on 5 June 1944 upon the Liberation by the Allied Forces. 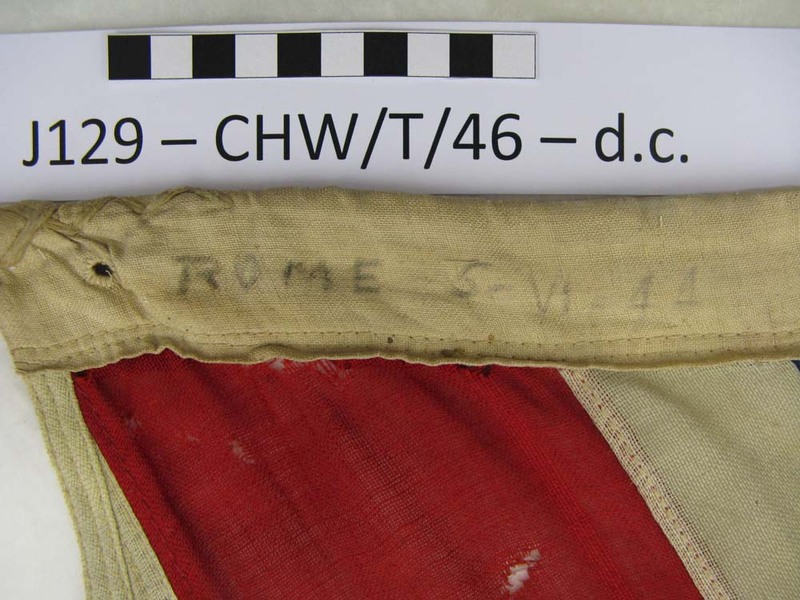 We found this significant date is recorded on the rope-sleeve in pencil as “Rome 5 – V I – 44”. 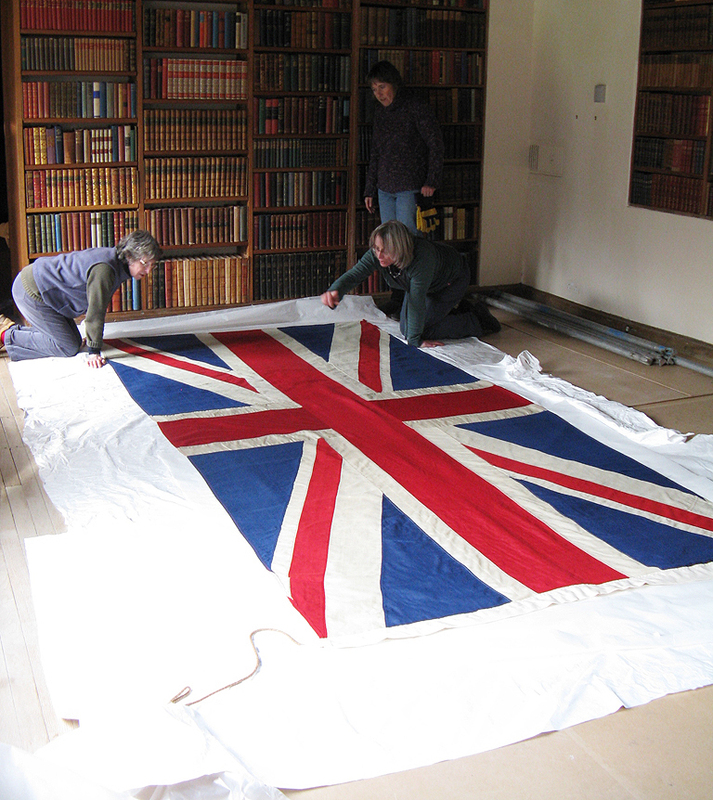 The flag was given to Winston Churchill by Field Marshall Lord Alexander. 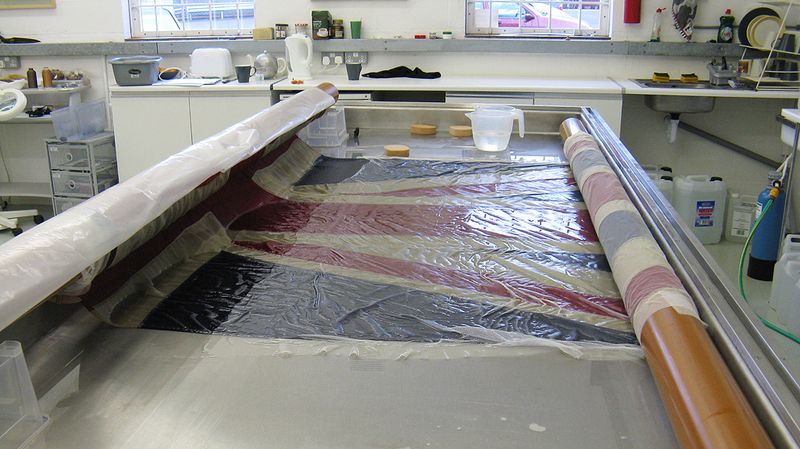 The Union flag had, over many years of display, collected dust on the folds. Some insect pests, including moth and carpet beetle, had crept into the lower sections which had been bunched up onto a niche in above the fireplace. 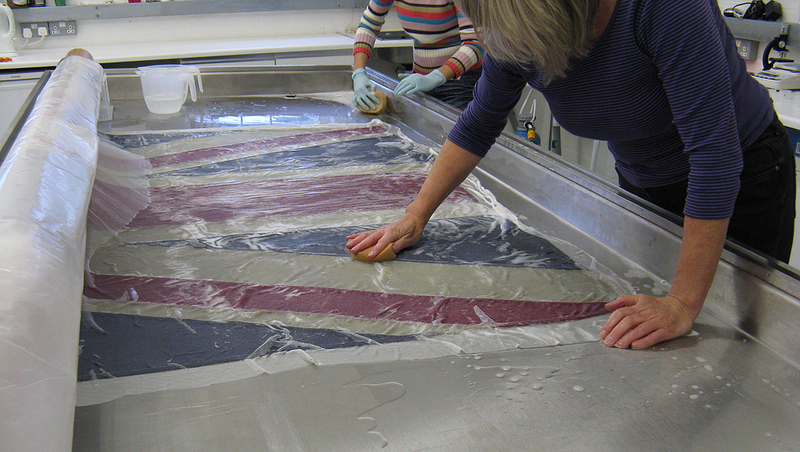 The flag was wet-cleaned on our wash table. 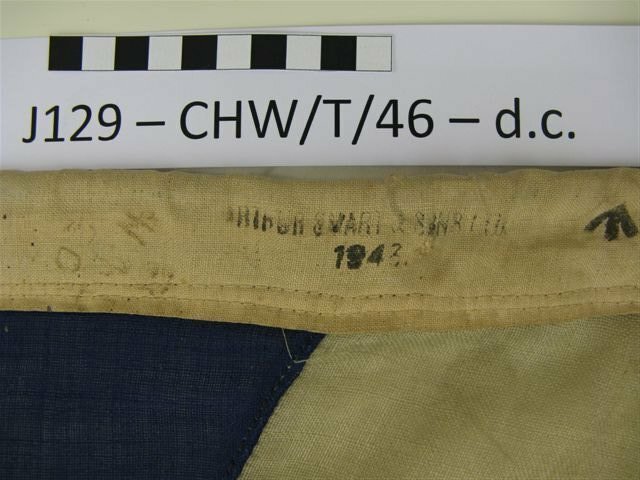 Extra attention was paid to preserve the pencil marks showing the Liberation date on the rope-sleeve.The areas damaged by the insect larvae were encased in fine conservation net, dyed to match each section. 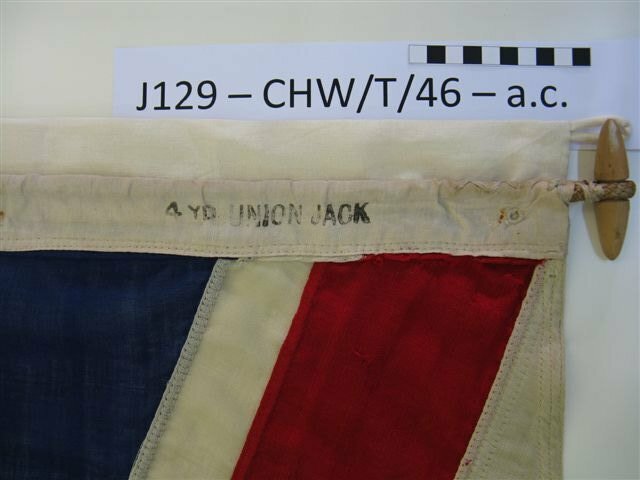 The flag was reinstated from a scaffold and is regularly monitored to guard against any future infestation. 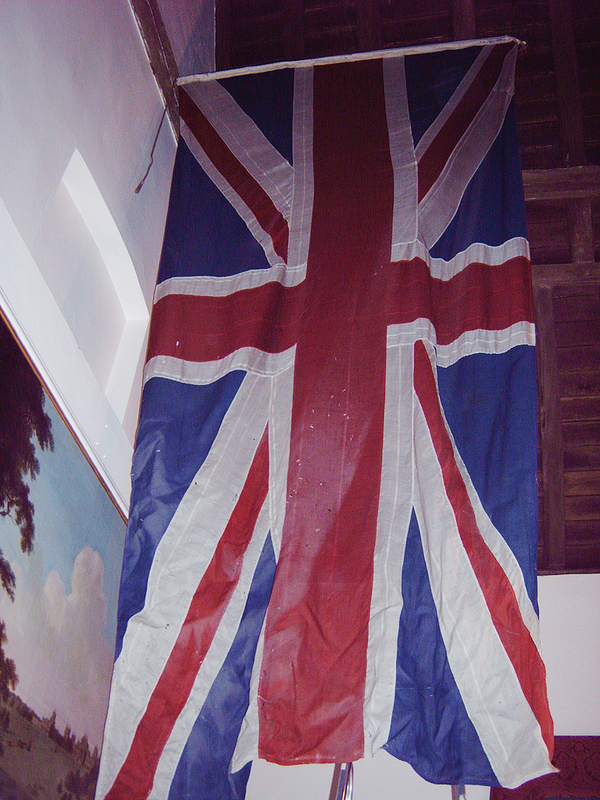 The flag hangs high up in Churchill’s study at Chartwell House, a National Trust property in Kent, alongside Churchill’s Garter Banner and a Standard of the Cinque Ports, both of which were treated at our studio at the same time.